Summer time is upon us in Melbourne Florida. It’s hot every day now and as a result, some sewer gases may creep back through the pipes into your house. If you have a smell that is emanating from your drain that seems to be sewer gas, you will want to call a professional plumber. But, if you think the smell just may be old food particles, then you may want to try a few of these home remedies. Baking Soda, Vinegar and Hot Water – Dump a handful of baking soda into your drain. Let it sit for a bit (about 15 minutes). Then pour half a cup of vinegar on top of it (wait another 15 minutes). Finally, follow with a pot of very hot water. Be careful and do not burn yourself. This trick seems to work for many people. Baking Soda, Lemon Juice and Hot Water – This is similar to the first trick. Just replace the vinegar with lemon juice. It smells nicer but has the same effect because it is acidic. Boiling Water – The power of boiling water is real. If it is hot enough to kill bacteria in food, then it is hot enough to kill bacteria in your sink. Heat it up and dump in down. Commercial Drain Cleaners – These cleaners may cost 5 or 6 bucks for a bottle but if you follow the directions and apply to your drain properly you can really eliminate a lot of the build up that occurs. 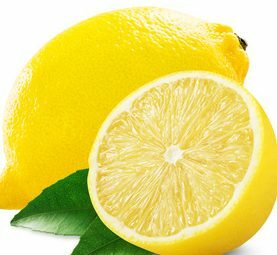 These cleaners use more powerful ingredients than vinegar and lemon so handle with care.